I'm wrapping up my first self-published book this weekend, handling the business end of things. It's been a long journey that all started here, with a short story called VACANCY, that I posted on my blog. As I tend to do, I finished the story with an ending that, while complete, still left something to reader's imaginations. And, boy did they imagine. I received so many emails from people wanting to know what happened to my vampire hunter, Oliver Ripley, that I decided to continue his story. 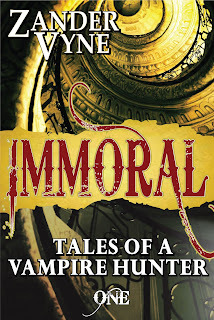 I could have just written IMMORAL: Tales of a Vampire Hunter using my usual process, but I thought it would be fun to bring readers into the crafting of the story. I vowed to sit down, write a chapter each week (right here in Blogger's post composition mode) and post it without editing. 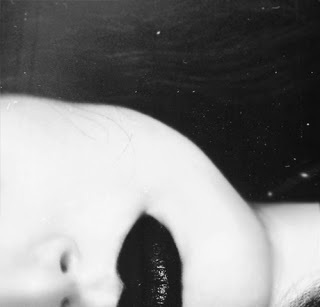 I never knew from one part to the next where the story would go. Writing this way felt dangerous, scary, and exhilarating. It freed me from the constraints of my process, opened up new paths in my imagination and, sometimes, it put me into corners I thought I'd never be able to escape. I'd say something in one part, and realize I was stuck with it because of my promise not to edit. When my characters ended up on a plane to Paris, I realized there would be French that I do not speak. When I came up with a major plot point, I had to find a way to explain it, and tie up all the loose ends without going back and changing anything that would help make sense of it all. There were times when I wanted to bang my head on my desk. Times I thought I'd never be able to make this work. But I did and, in the process, I learned to believe in myself as a writer capable of writing complete novels, not just short stories. I also fell in love with my readers, who cared about Oliver Ripley as much as I did. I listened to them, and used many of their ideas to complete IMMORAL. I've taken down all of the old Oliver Ripley posts, and edited and made additions and changes to the new book (finally! ), but I thought it would be fun to share just a few comments readers made along the way. As I get ready to launch IMMORAL into the world, I want to offer special thanks to everyone who helped shape the story with their feedback. I really couldn't have done it without you (especially the commenters below). If any of you would like a free copy of the completed book, please contact me.